Cocaine is a fatally addictive substance that can destroy lives. Anyone who is ready to be free from this drug can find help and hope from our professional team of healthcare providers. We understand and recognize that cocaine addiction, or addiction to any other drug, is a multifaceted disease that results to alarming deviations in brain and behavior patterns. Furthermore, it affects the user’s personal, familial, financial and social wellbeing. In addition, drug abuse is also linked to other co-occurring psychological problems that require medication or behavioral therapies. Cocaine may initially start as a party drug that occasionally used with friends. In the long run, however, situations can get out of hand very quickly. Cocaine is extremely addictive and the effects are short-lived. And before you know it, you begin feeling trapped and hopelessly hooked up on cocaine. The chief short-term danger of cocaine is an overdose: Many users have died due to accidentally overdosing. Symptoms of overdose include seizures, heart failure, or damage to vital areas of the brain responsible for respiratory control (or in simpler terms, the user just stops breathing). Heart damage and stroke: Cocaine is a stimulant drug that abnormally and instantly increases blood pressure, as well as hastens pulse and respiration rates. If you happen to use cocaine while your blood vessels are constricted, this may lead to stroke. 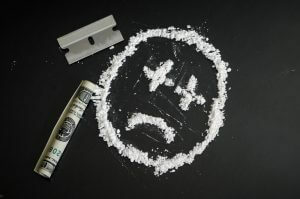 Nose damage: Regularly snorting cocaine damages or perforates your nose’s septum, leading to nosebleeds. This drug is even corrosive enough to actually dissolve the septum, impair your sense of smell, and leave you with a difficulty in swallowing. Cocaine administration through injection makes you more susceptible to HIV/AIDS, as well as to a wide range of allergic reactions. A habitual user typically suffers from irritability, restlessness, anxiety, paranoia, and auditory hallucinations that may result to rage and violent, aggressive behavior. In other words, the drug not only destroys the physical and psychological aspects of a person; it also destroys his familial and social relationships. The damage done to your heart and arteries may or may not be reversible. As part of the assessment process, His House administers a series of tests to determine the medical needs of our patients. In comparison to other drugs, the physical withdrawal symptoms felt during cocaine withdrawal treatment will not be as agonizing and severe. You will, however, feel overpowered by cravings for the drug. Detoxification from cocaine is dangerous due to these psychological symptoms – at His House, men in rehab are monitored and guided through the process; this includes exercise, a dry-heat sauna, and dietary supplements to dislodge and flush drug residues from the body. Behavioral therapies that will help you strengthen your coping mechanism and your resistance to relapses. Necessary doses of dietary supplements that will aid in calming the body and supporting a healthy mental function, in order to maintain sobriety. Through our personalized treatment programs, you can gain back control of your life. With our help, you could live the peaceful life you desire without the dark cloud of cocaine addiction hovering over you.